How Far is Akshara Villas? 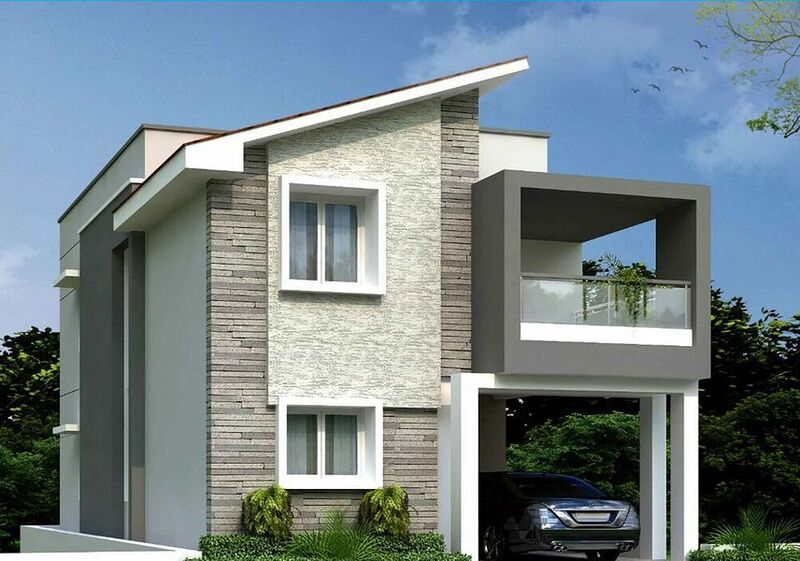 Dream Homes Akshara independent 3BHK villas project location is one of the fast developing places in south chennai. A perfect destination for home buyers, the elegantly designed customizable homes offers you perfect independent living space at perfect price. a) Brick wall in CM:1:5 and plaster with CM:1.3.
b) Inner walls smooth finish. M20 Mix Design 5" slab Thickness. c) Cupboard for bedroom & Kitchen 5' length and 18" depth. a) Front Main Door size 7ft height *3.5 ft width, with First quality Teak Wood and warnish finish. b) Other doors Teak framed with flush doors size 7 ft height* 3.0 ft width and paint finish. d) Pooja Room will be provided Teak Framed size 7 ft height *upto 3.0 ft width with 2 doors. Teak window with glass shutters (size 4 ft x4 ft). M.S.Grills with paint finish and Windows Accessories will be provided. b) Wall tiles up to 7'0" height Only. d) Parryware up to 4 wash basins of size 1 ft or 11/2 ft Is provided. e) Parryware Wall mixture for Two bath rooms and taps form other places. d) Bath room; Gyser, exhaust Point provision is provided. e) Kitchen; chimney, exhauster, RO, Fridge, Mix Micro wave, Grinder Point provision. g) Switches - Brand Anchor Roma or GM that Includes Fan Regulators wherever necessary. a) Painting inner walls with two coats putty One coat of primer and Two coat of interior premium emulsion. (Inner color your choice.) maximum 4 colors. b) Exterior one coat of white cement, one coat primer and Ace Exterior emulsion two coats. Doors, windows and grills with two coats of enamel black paints. Main door imported pin cylinder locks (brass) Ekri. Other doors Lakshmi lock. a) The internal staircase shall be Provided with Stainless Steel railing. b)Granite Steps for inner staircase. G.10(or) Steel Gray. Skirting extra cost. C) Staircase for Terrace will be provided with anti-skid tiles cost Rs.45/- Per SOFT and MS for Handrail. With over hundreds of happy customers, Dream Homes is one of the leading property builders, dedicated to the service of our esteemed clients. Our rich portfolio consists of building top-quality apartments, independent homes, flats, and commercial complexes, ensuring sustainable quality standards. At Dream Homes, we take pride in understanding the facets of your dream home and help you get your hands on only the best flats that perfectly meet the needs of your family. After all, your home is the biggest investment you would ever make in life, and Dream Homes will guide you at every step of the way to ensure you get exactly what you have always dreamed of – an ideally located home with all the facilities at anaffordable price. We promise no less than guaranteed satisfaction to our clients, right from your initial home search through the construction phase to completion of the project. And our job doesn’t end here – we are available to service you even after you have moved in. After all, it’s our commitment to finding you the best home with excellent location advantage in Chennai and ensuring you face no problems whatsoever in any way! Armed with metaphors that describe the robust relationship with our clients, impregnable safety standards, and reliability, we take pride in our rich portfolio of over hundreds of satisfied customers. Whether you are looking for an independent house or apartments for sale in Chennai, Dream Homes is your real estate destination. With an unparalleled commitment to quality and a disciplined approach to construction, keeping every single detail in mind, we feel privileged to be part of your dreams, customizing the design of your dream home to cater to your lifestyle needs. Dream Homes is dedicated to providing the best qualitynew flats for sale in Selaiyur, Tambaram, Perungalathur, Medavakkam, Sembakkametcatright price, offering a complete package catering to all your needs.